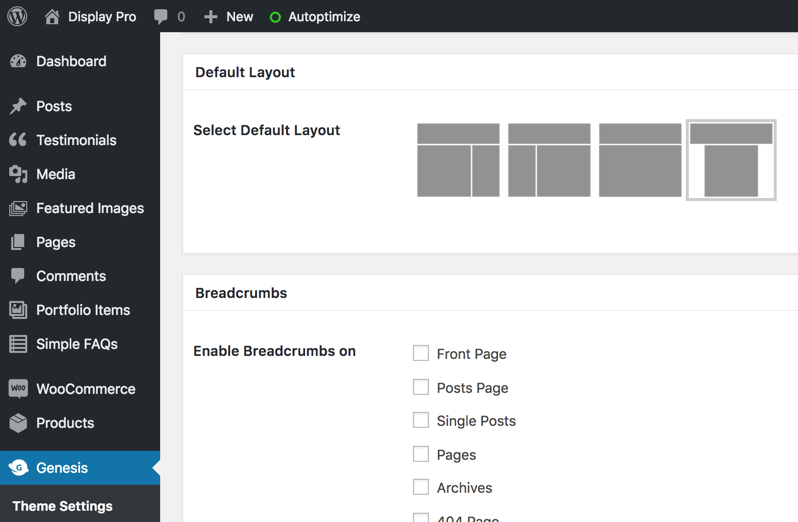 To update your site settings, navigate to Genesis → Theme Settings from the admin dashboard. Below are the Genesis settings used in the theme demo. 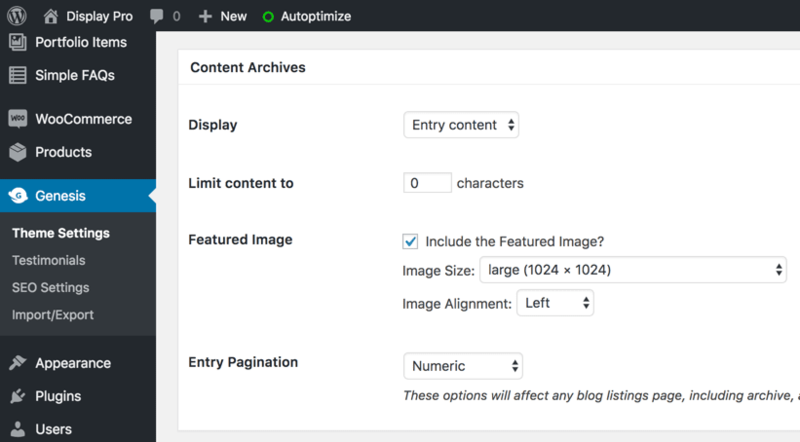 To display featured images on archive pages like the demo, check the Include the Featured Image option under Content Archives and select the large (1024 x 1024) image size. Image aligment should be set to Left.